According to an announcement posted to FMCSA’s website April 10, the agency has determined that Rock City Stone poses an “imminent hazard to public safety” because of the unsafe manner in which they conduct operations. FMCSA served a federal order for the company to cease operations April 9. Rock City Stone is based in Crossville, Tenn., about 100 miles east of Nashville. “[The] complete and utter lack of compliance with [hazardous materials and federal safety regulations], including when transporting explosives, substantially increases the likelihood of serious injury or death for its drivers and the motoring public if not discontinued immediately,” FMCSA said in its federal order. A Rock City Stone truck traveling through Sequatchie County was subjected to an unexpected roadside inspection by the Tennessee Highway Patrol on March 23. The patrol officer found that the driver was transporting explosives in an unsafe manner and immediately placed the driver out of service. The driver was carrying explosive material, including an ammonium nitrate-fuel oil mixture, electric detonators, blasting caps and detonating cord. The items had been stored in the truck bed next to pipes, buckets and work tools. 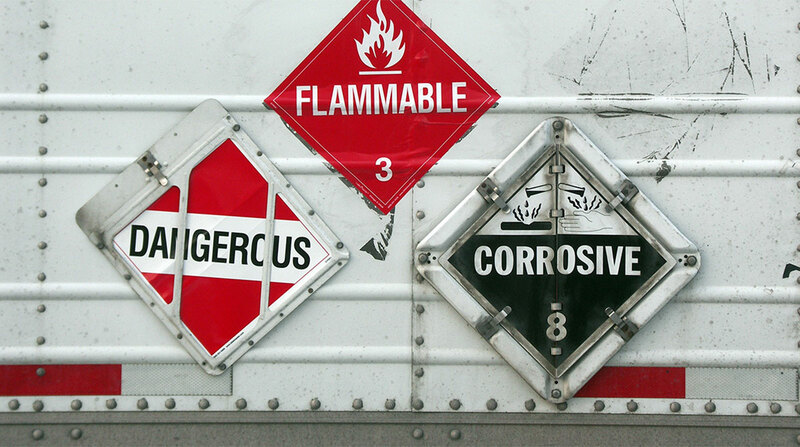 In addition to the improper transport of the explosives, the patrol investigators found that the company had neither prepared the proper paperwork nor attached placards to their trucks indicating hazardous materials were on board. The driver who had been pulled over also did not possess a commercial driver license, a federal hazardous materials endorsement or a medical certificate. The federal investigation also found that Rock City Stone does not have an alcohol and controlled-substances testing program, which is required by law. Rock City Stone’s records indicate that the company has transported hazardous materials to approximately 44 blasting sites in Tennessee without the proper placarding or paperwork since Jan. 1, 2018. “The company operated without an assessment of transportation security risks and without a transportation security plan, including preparation of a [hazardous materials] route plan in accordance with federal safety regulations,” the notice states. The company may be assessed civil penalties of up to $25,705 for each violation of the out-of-service order. The carrier also could be penalized up to $14,502 for operating a commercial vehicle in interstate commerce without necessary DOT registration. The violations, if determined to be willful, could result in a fine of $25,000 and imprisonment.